Commonly used in a 4+ car garage or small commercial building. On HD60 and larger units they are shipped by freight. 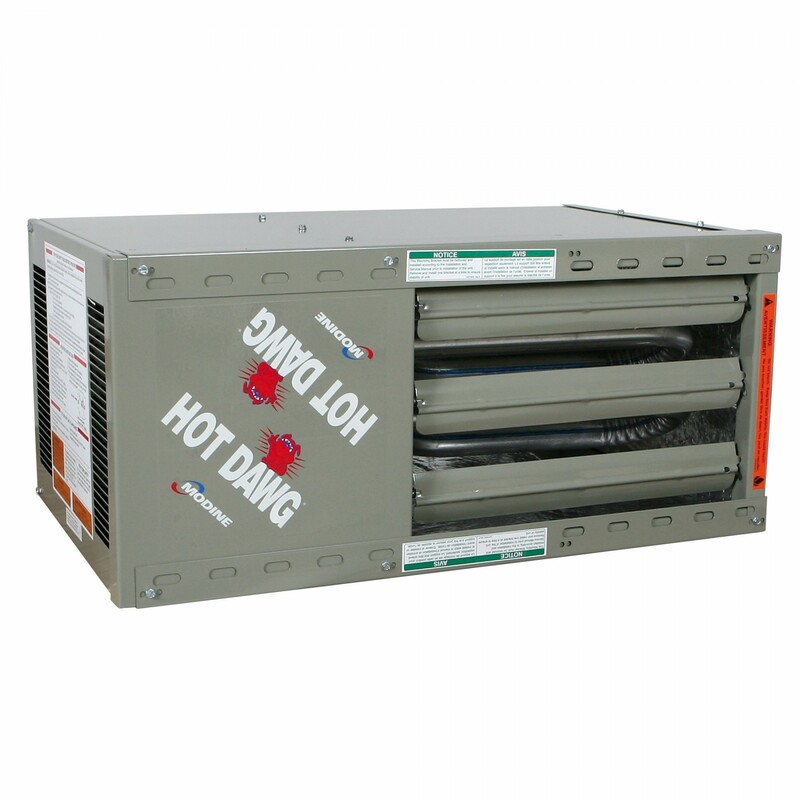 On these units shipping is only free to a freight terminal or commercial delivery address. Residential delivery is additional. 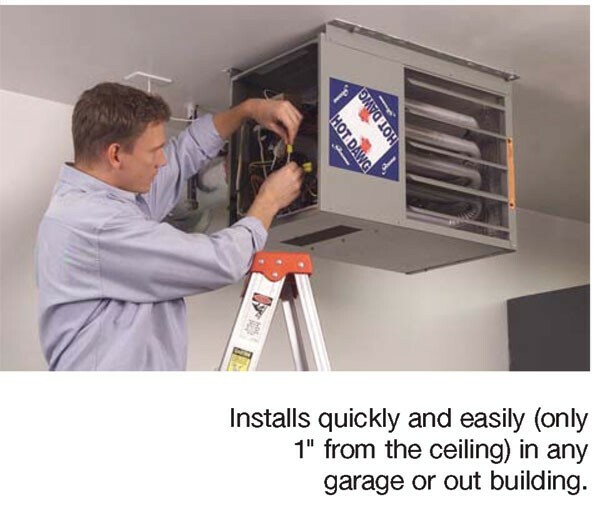 All installation and service of these units should be performed by a qualified installation and service agency including the use of Modine's installation and service manuals which are specifically intended for use by a qualified installation and service agency. Your signature on a delivering carrier's freight Bill Of Lading (BOL) constitutes acceptance of the merchandise "as is" and in good order. If you do not inspect before signing you are, for all practical purposes, waiving "our" right to collect on a damage claim even if the damage is "concealed". Remember, once you sign, the merchandise and the responsibility is yours! During delivery should you determine any damages or shortages, you MUST note the damage or shortage on the delivery "Bill Of Lading" before you sign it!